One of my favorite quotes, “Create the space and a bigger life happens” is by Alysia Reiner. The first time I read this quote I felt the need to de-clutter my physical space. You know, purge and eliminate piles. 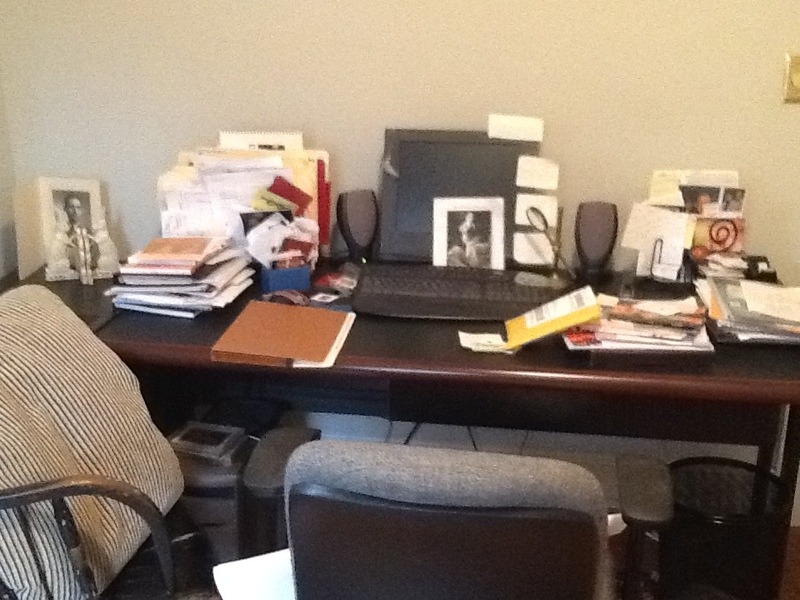 It seemed I was skilled at creating little piles in every room – and my desk… forget about it. Generally my life was organized, but busy and filled with lots of activity and commitment. Busy felt natural – most of the time, but it was beginning to consume me. It was time to pause. A forced pause was created in my life. It turned out to be a gift even if I did not see that right away. However, I now understand that I can actually “create” an intentional pause! Pause creates more clarity. Pause re-introduced me to myself. As I took time to be still, I began to really consider “bigger life.” At first, I thought how in the world would there be space for MORE? Yikes, more or bigger sounded scary and nearly impossible. Does a “Bigger Life” sound scary or exciting to you? For me it’s both. As I reflected further on this “bigger life” concept I asked myself… isn’t wanting more selfish? After all, my most important needs are covered: food, clean water, shelter and love. For all of these I am grateful. So what is a bigger life all about? Bigger began to translate into less of going through the motions and more intentional living toward what mattered most to my heart. This meant deciding to step off of the path of least resistance to step toward heart-filling commitments. I was seeking ways to fill my soul not just my time. The pixels started filling in to create a new overall picture. I started small by eliminating one pile at a time in my home and office. The visual and physical space created more air, more peace. This created a natural desire to pause and breathe which then created greater desire within me to de-clutter other areas of my life like my calendar of commitments. I was officially on the quest of less is more! Life was transforming from less of going through the motions and more intentional and authentic choices. I was (am) becoming who God created me to be. I firmly believe that you too were created to be fulfilled not just busy so that you too live your BIG LIFE of fulfillment. We were not created to be lost in busy-ness or carried along in the flow of what others expect our life to look like from the outside. Creating the space within our soul and heart to live a more fulfilled life is what God has in mind for each of us. YOUR PATH MATTERS! Your dreams matter. Your choices matter – every day. It’s your path – your choice. I invite you to pause, to choose … Less busy, filled life for more fulfilled life.© Are you ready to trade piles and stuff for space, or trade commitments that drain you for commitments that lift you or a filled calendar for intentional time to pause, reflect, rest, read, dream and grow into your bigger life? What could YOU have less of to create space for more of __________ ? What might compel YOU to pause? To breathe? To live YOUR bigger, more fulfilled life? I would love to hear about it. Let us all know what you have traded for “less?” Your story could help others who are reading! Thank you in advance for your important contribution. Thank you for reading “Pause Creates New Space!” Please consider leaving a comment. 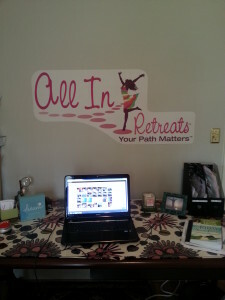 Be on the lookout… Your Path Matters Message Jewelry Store opening soon! Be sure to come back to check out the site or facebook for the store opening!